Only the second time on this tour and only the second time in 25 years… 'Two Hearts beat As One' was in the show last night. Great way to open up a week in Amsterdam. Fuller report on the way, meantime were you at the show? Add your own reviews, favourite moments and photos below. Have been waiting since 1983…. September 9, I especially loved the song 'Iris'' because my father-in-low lost his mother when 15 and he talked about her with me for the first time not long before his own death. I wanted to know all about my husband's grandmother..... The sound of the whole show was that great that I danced all the time. And 'Beautiful day' nearly drove me crazy. Thank you so much you U2-people! This was the first U2-show for me, that I have been waiting for since 1983. 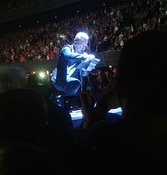 Yet another highlight in my U2-concert history. No doubt the band is the best there is! Can not wait to see them again, upcoming Sunday!! Thanks for two wonderful concerts. Most happy with you playing GLORIA!!!!! What a band, what a night, what a show! Again a great concert with again music surprises, for me at least. Hope you can improve the sound for the following nights, but what a show. Bullit in blue sky remains my all time favorite. Thanks for playing that one as beautiful as never done before. Thanks and till Saturday! Show number two (after Chicago). Great Show!! See you again in Cologne and Paris! I had to write a report in school on a person I admire when I was 13 or 14, and I choose Bono. I remember the " I Ain't Gonna Play Sun City" Video had just come out and I referenced it because I thought of how much influence and power such a talented voice had. I wish I had it now, I would give it to you (in exchange for back stage passes ;) I remember it said something like "He really means what he is saying when he is singing about it". Which is so important for youngsters to realize, not to mention how it comes thru artistically. That' all. 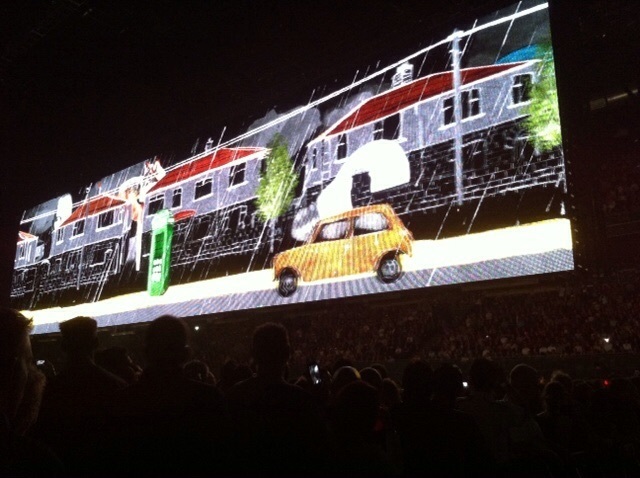 Thanks guys for another great chapter to the U2 concert history! Again you blew my mind, eyes and ears away with a stunning performance. 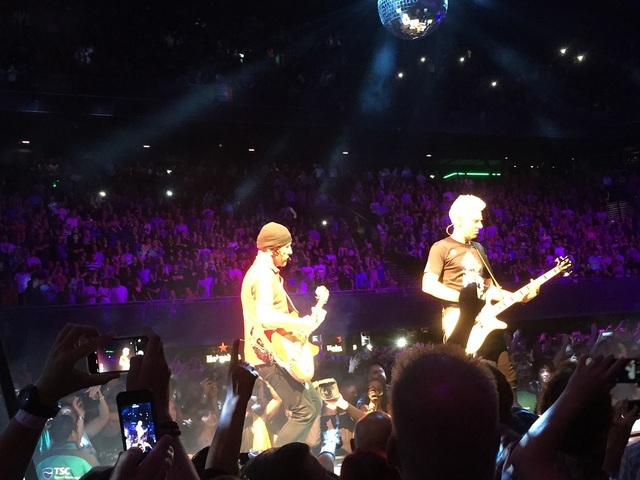 What a night in Amsterdam! See you again this Sunday! I see only 5 star reviews here in the press! How long to sing this song...? I hope very, very long!!! I was so looking forward to the show as a die hard fan. But due to an accident I am in the hospital. The hospital is near the ziggo dome, perhaps one of the guys van come by to see how I am doing? Play "Get on your boots" and ask my wife Astrid to get her boots on stage. Yeah! Yesterday started my holiday, so we will visit the sun till 5th of September and start the countdown till 9th to visit U2 again since 1993 every tour in different countries! Getting nervous! HI AMSTERDAN!!!!!!! 08TH AND 9TH I'LL BE THERE... FROM BRAZIL DIRECTLY TO ZIGGO. LOOKING FORWARD!!!!!!!!!!!!!!!!!! Saw U2 in Rotterdam in 1993, Amsterdam 2005 and 2009! This concert will be the best!! !